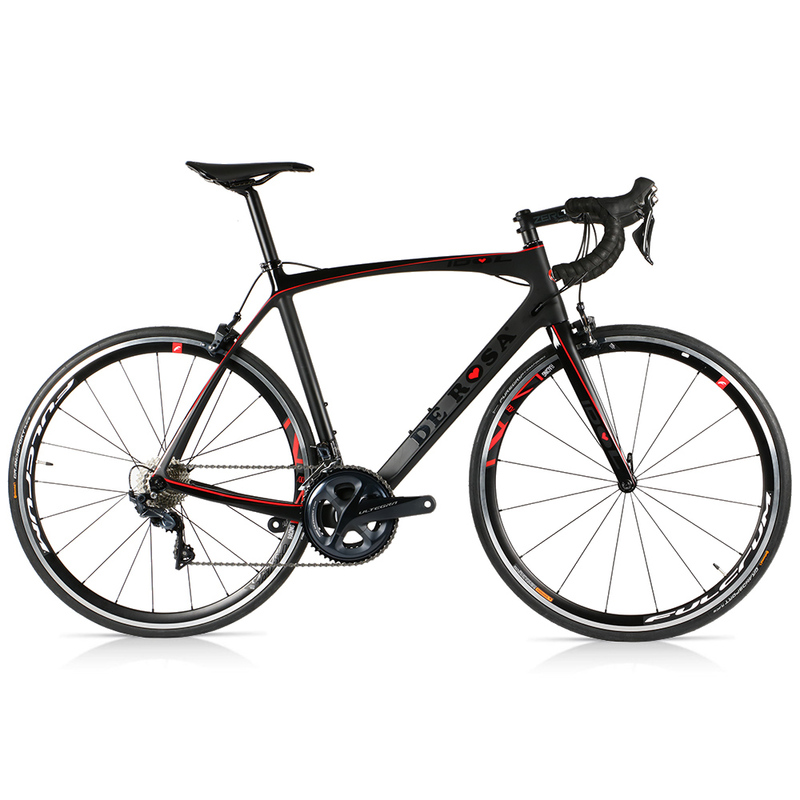 Designed with beautiful lines and aesthetics that set it apart from other bikes, the De Rosa Idol is a truly unique bike. The geometry and the design are a clear example of the capability and intent that underlies each and every De Rosa frame. The Idol is the perfect bike for every epic ride and will stay just as comfortable after several hours in the saddle, as it was when your ride began. Ideal for tackling local sportives, the bergs of Flanders or even the high peaks of the alps. It mixes the perfect blend of comfort and performance, allowing the rider to go faster for longer.